HELLO FLORIDA DECA!!! This month I am putting the spotlight on Lyman High School DECA located in Longwood, Florida. Established around the 1960’s, Lyman DECA is one of the oldest organizations on the schools campus. The chapter is home to 360 members and organized by their 27 officers and 2 Advisors. 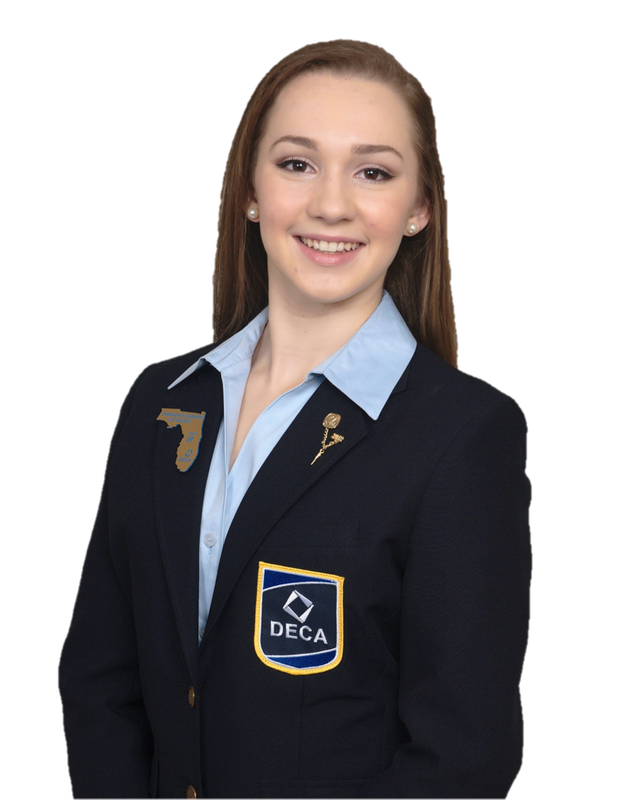 Four programs are offered through Lyman High School DECA, Sports and Entertainment, Fashion, Business Ownership, and General Marketing, as well as Microsoft officer certifications. Lyman DECA is proud to be part of the Florida DECA 100 club as well as be the home of DECA Direct social media correspondents, former Team 56 Florida DECA Vice President Brandon McCutcheon, and Honorary Life Member and current Florida DECA State Advisor, Dr. Levenhagen. The chapter hosts events such as socials and the “Lyman DECA Membership Series.” Congratulations to Lyman High School DECA on all their success and we can’t wait to see how you Own Your Future this year. Now over to Wellington, Florida for the next Chapter Spotlight. This month, I am putting the spotlight on Wellington High School DECA!! Wellington DECA qualified 82 members to the Florida DECA annual Career Development Conference and 31 members qualify to ICDC in Nashville, TN. Recently, in 2013, not only did Wellington DECA reach the 200 club, but the chapter had an International winner. Wellington High School offers classes in the marketing program such as Marketing Essentials, Digital Information Technology, Marketing Applications, AICE Travel and Tourism, and AICE Business Studies. Mr. Wilkinson, one of the Wellington Chapter Advisors, was an International winner when he attended Wellington High School and is now a Wellington DECA advisor, as well as holds a seat on the Florida DECA Board of Advisors. Wellington DECA is unique because the chapter utilizes a Student Advisory Board rather than a officer team for chapter leadership. Board Chairwoman, Nicole Kraemer, says that this form of leadership has been very successful for the chapter since put into place two years ago. Shoutout to Wellington DECA for all their success, keep up the amazing work and Own Your Future!!! It’s All About the Money Money Money…. us, especially DECA seniors getting ready for college, it’s all about the money!!! opportunities for DECA members to take advantage of. DECA inc. alone offers over $300,000 in scholarships each year (that’s a lot of money!!). Do you have a job with one of DECA’s Corporate sponsors such as Publix, Journey’s, or Walgreens?? There’s a scholarship for that! Are you in National Technical Honor society? There’s a scholarship for that! And if you’re not, don’t worry because thee are scholarships for you too! DECA scholarships are merit based and administered based on guidelines set by the donors. are great for DECA members getting ready to graduate and go off to college. applications is January 13, 2017. The scholarships and awards will be handed out at next years International Career Development Conference. Check out my “Scholarships Challenge” video blog to see how! amusement park, and a head start on competition preparation for this year. Daytona Lagoon amusement park, Officer workshops, and more. awesome weekend in Daytona, and hope you’ll join us! me by email at: shannon@fldeca.org or on social media: @floridadeca or @shannwich_.